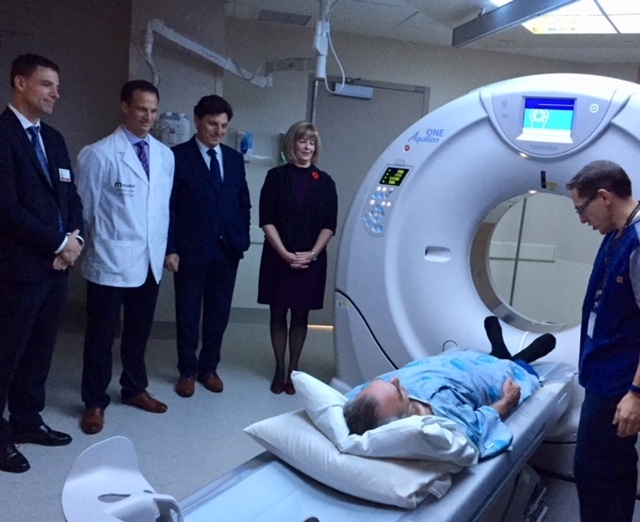 Montfort made public its Cardiac Computed Tomography (CT) Scanner on Thursday, November 2. 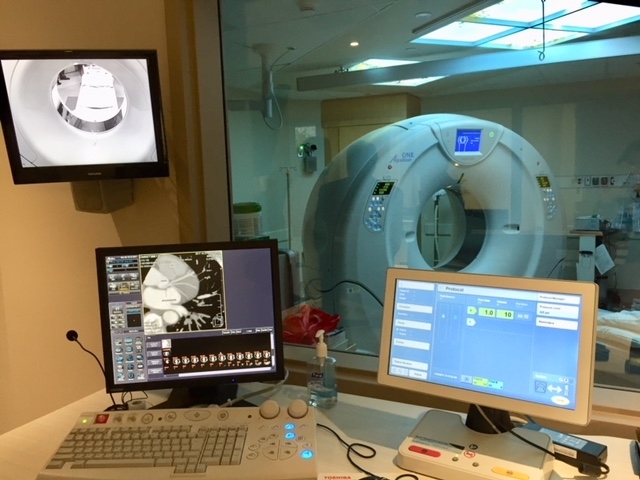 Although the CT Scanner was in use for the past several weeks and was functioning at three-quarters of its capacity; it is now accessible to the region’s population.This simple, quick, highly precise and non-invasive examination is more comfortable for the patient and allows most serious cardiac diseases and disorders as well as pulmonary embolisms to be detected. 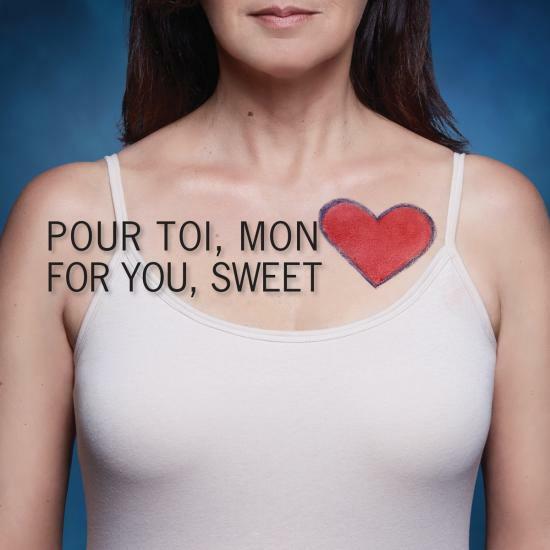 In collaboration with the University of Ottawa Heart Institute, Montfort Hospital is working so that the device is used to diagnose patients with pulmonary problems, or possible fractures, among other things. The new piece was unveiled in the presence of two grateful patients along with doctors, healthcare professionals, and media. During the event, attendees witnessed the new cutting-edge equipment in action and heard Mr. Kevin Ciesielski’s testimony. As it was expected, he is currently recovering well thanks to a timely intervention that saved his life. Mr. William Holland and his wife were also at the unveiling. Holland was another patient who was able to quickly receive the necessary cardiac care. He suffered from atrial fibrillation and ended up having to undergo open-heart surgery. Cardiologists, Radiologists and Medical Imaging Staff, who use this technology every day, explained that the scanner generates clear images of vital organs by rotating around a stationary table in 0.275 seconds taking 320 simultaneous image slices. 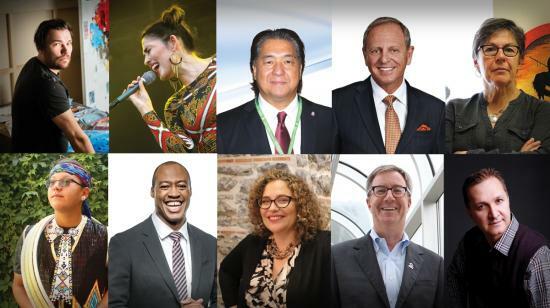 A little more than a year ago, Ottawa’s Montfort Hospital Foundation launched a campaign to raise $2.5 million for a machine that would change the lives of people in need. From now until August 19th see the sky lit up like never before.